The wait is over; finally we have gotten our hands on the new Schuberth C3 Pro Helmet. It has been enjoyable and fun to spend the better part of a week with the lid and really understand the nuances in what Schuberth has so thoughtfully done in this latest iteration. 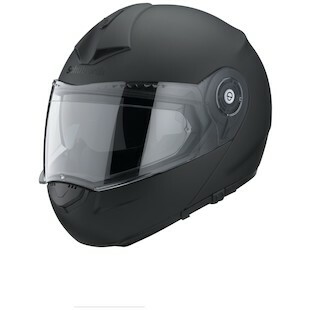 They are calling it the premier lightweight and quiet modular motorcycle helmet on the planet. I'm paraphrasing a bit, but seriously, there is a lot of tech and improvement going on here as they introduce the ninja-kicking uncle of the dominant C3. Now available in "Super Quiet" (I made that term up). 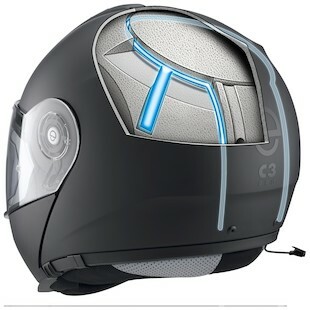 Schuberth through a mix of aerodynamics and interior materials has dampened the noise level a further 2db on the C3 Pro. Now coming in at 82db total. Re-engineered fit. Refinements at the forehead, cheeks and neck roll / chin strap that let the C3 Pro fit a rider with a longer head / fatter face / pronounced Adam's apple MUCH better. You can even swap to "narrow" cheek pads at any size. Improved Communications. Now the Schuberth C3 Pro SRC system bumps from 300m to 700-1000m of pairable distance bike-to-bike using an integrated dual band antenna inside the EPS, just like the S2 did before. The accretive advantage. There are about 16 other changes some large and small that as a collection create "air superiority" for the C3 Pro. You could take my word for it. Or you could go nuts and watch 21 minutes of C3 Pro glory in our Schuberth C3 Pro Helmet Review video on YouTube. It's all about how geeky you are. Time will tell how well this sucker holds up to the beating we Zillans will put on it. Stay tuned.